The key concept of Liberty (Liberté) gave birth to modern capitalism, which has created societies filled with social inequality and injustice. The key concept of Equality (Egalité) gave birth to 20th Century Communism, the regimes of which oversaw hundreds of thousands of deaths and oppression of human rights. The key concept of Fraternity (fraternité) gave birth to 20th Century Fascism, the regimes of which lead to dictatorships of oppressed freedom and racial intolerance. The following Reign of Terror and French Revolutionary Wars saw hundreds of thousands of citizens lose their lives. 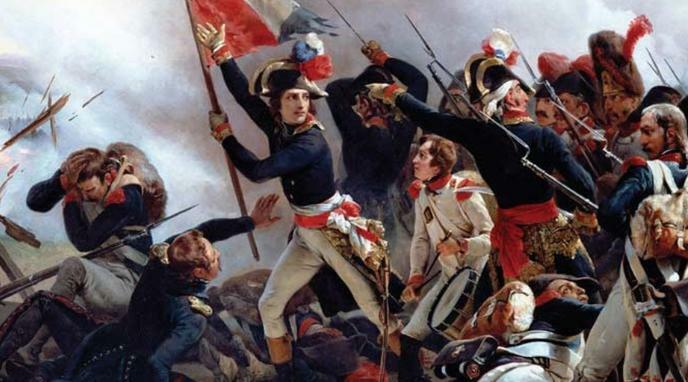 If the closely connected Napoleonic Wars are also included, hundreds of thousands more died. This extreme loss of life and decades of warfare is overwhelmingly negative. Democracy is an overwhelmingly positive human achievement, and its roots are firmly found within the French Revolution. The French Revolution gave newfound power to the populace. All following national leaderships were forced to be much more aware of their citizens desires. The Revolution was largely caused by economic factors and the overtaxing of the working class compared to the (effectively) tax-exampt nobility and clergy. It rebalanced wealth distribution, and ended the irresponsible splendour of the elites. Republicanism, a direct product of the French Revolution, has proven itself to be an incredibly effective system of government that is willing to defend human rights.